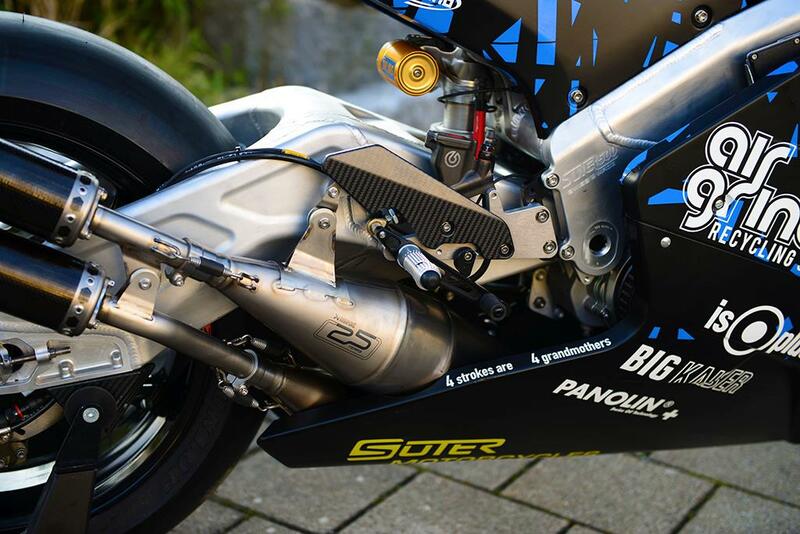 Suter have just revealed how their Swiss built 576cc V4 two-stroke machine will look when it's piloted around the iconic Isle of Man TT Mountain Course by ten-time TT winner Ian Lougher. 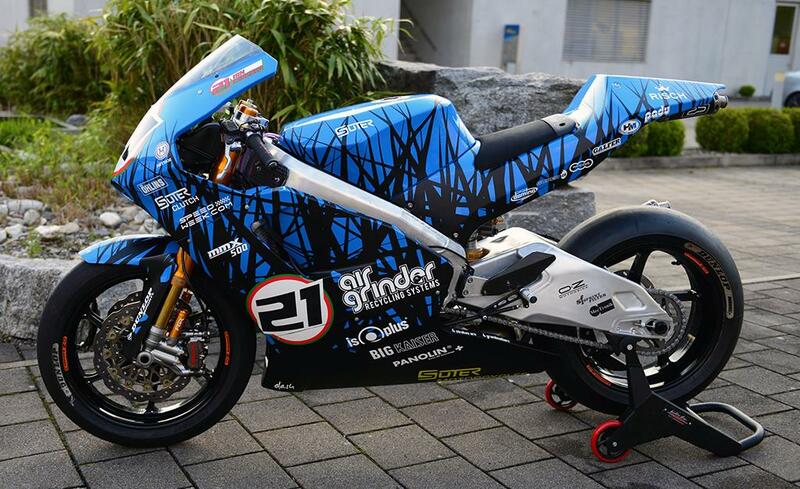 The bike, which is eligible for the Superbike and Senior TT races, looks stunning in these latest pictures. The 195bhp two-stroke hits peak power at 13,000rpm, features electronic fuel injection, twin counter-rotating crankshafts, and titanium Akrapovic exhausts – and weighs just 127kg. The front tyre is a 125/75 R17, while the rear is a 205/75 R17 on a 6" rim. Ian Lougher rode the bike at Brno last week, and spoke to MCN's Emma Franklin after the test, saying: "The testing's been going really good, we've just had two days at Brno and that's the final test before the TT. There's so much interest in it, it's amazing. 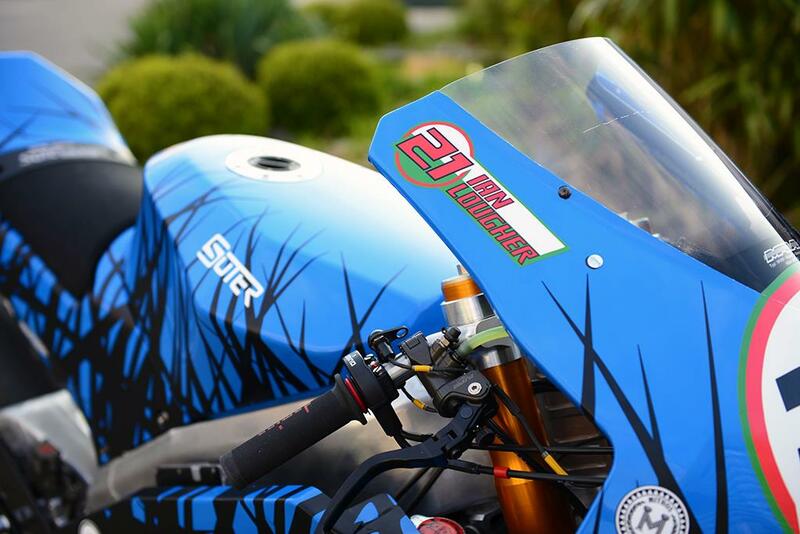 We put a picture of it coming out of the garage at Brno onto Twitter and it got like 150,000 hits in just a few hours. "We're heading over to the TT with a completely open mind because we still don't know the level of it, we're still learning it. It feels great though and it's a really good, strong package, but those superbikes are so good so it's hard to say right now where we'll finish. Basically, I'm the only one who's done any development on it. 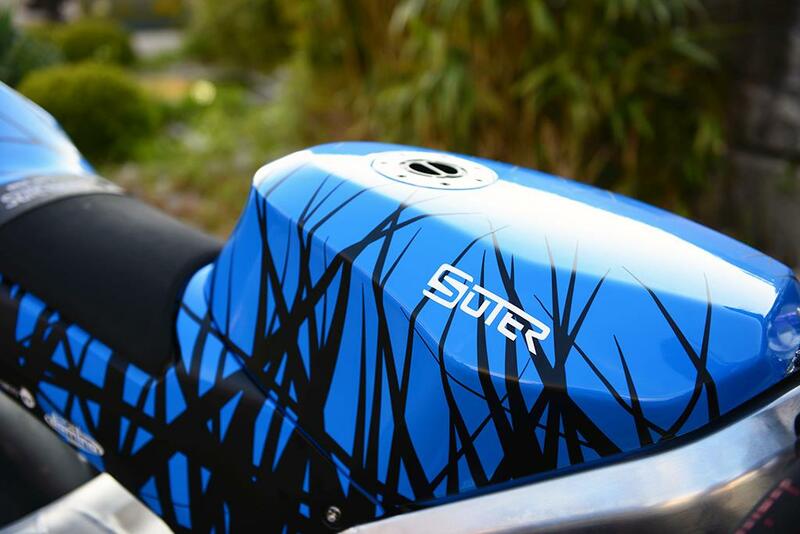 Eskil [Suter] himself rode it initially when he first unleashed the bike, then Wayne Gardner had a go on it, then Freddie Spencer, but other than that – and I didn't realise it at the time – I'm the one who's been developing it… But all that said, it wasn't like I was starting from scratch, and it was quite resolved when I first rode it. But this last test was really useful because the faster speeds picked up a few problems that we hadn't had before and we managed to sort them out, so now we're heading to the TT with a really good package."